This was probably the most significant loss suffered by Owain’s forces in open battle. The date of the battle is believed to be May 5th. 1405 and marks a significant point in the campaign. From this point on Glyn Dŵr’s campaign began to lose its momentum. 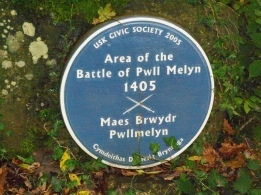 Glyn Dŵr’s men, commanded by Owain’s eldest son Gruffydd, were attempting to capture Usk Castle when they came up against a substantial force under the command of Lord Grey of Codnor. A prominent member of Grey’s force was Glyn Dŵr’s archenemy, Dafydd Gam, who had plotted to kill him. Glyn Dŵr was to capture Dafydd Gam late in his campaign, but Dafydd went on to fight in the Battle of Agincourt where he was killed. Various sources vary widely in their accounts of the numbers involved in the battle. There is general agreement, however, that the loss of life was great. Adam of Usk reported that 300 of Owain’s men were captured and beheaded in front of the castle after the battle. Owain Glyn Dŵr suffered a grievous personal loss as his brother (Tudur) was killed in battle and his son (Gruffydd) captured and sent to the Tower of London, where he died of pestilence six years later. 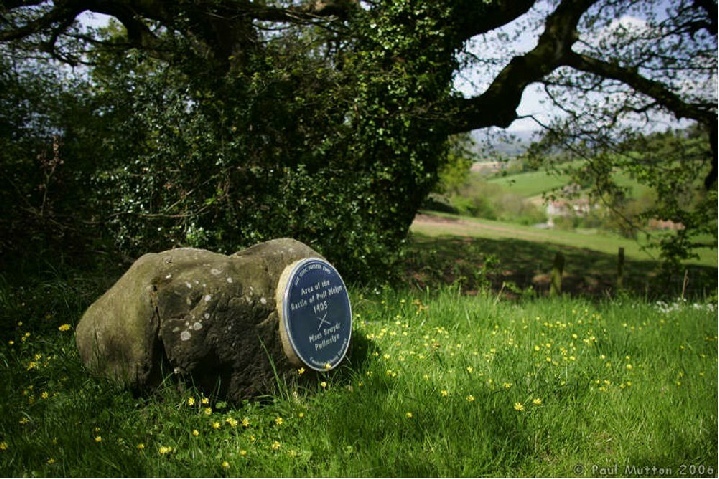 Amongst the Welsh dead were Hopkins ap Tomos - a renowned warrior - and John ap Hywel, the Cistercian abbot of Llantarnam Abbey who was a remarkable soldier and spiritual leader in Owain’s army.